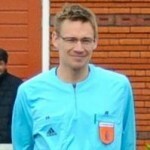 Some intersting clips and photo’s for referees or about the Laws of the Game from the first World Cup games. Morata tackles assistant referee, a kick-off with just one player and more interesting situations. Check them out below. Manuel Neuer: moving smart in front of his opponent or clear foul for you? Video below from 3minutes and 56 seconds. 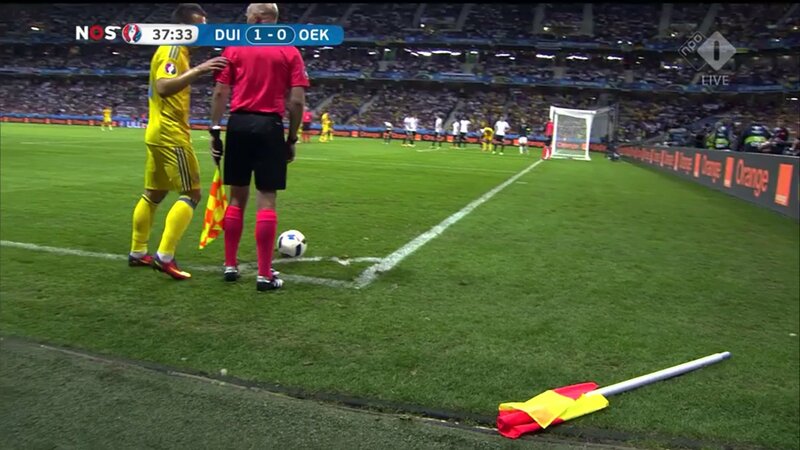 What if the corner flag is broken? It happened in the Germany – Ukraine game. Luckily they got an extra one in just a few seconds. Werner Helsen, who has prepared referees physically before and during Euro 2016, saw that players respected the warm-up area for referees. According to the new rules a ball may also be passed backwards from the kick-off. The Spanish team did the kick-off with just one player. Fans were confused. A good moment to explain the new rule from the 2016-2017 Laws of the Game. Milorad Mazic doesn’t want long talks on the pitch. 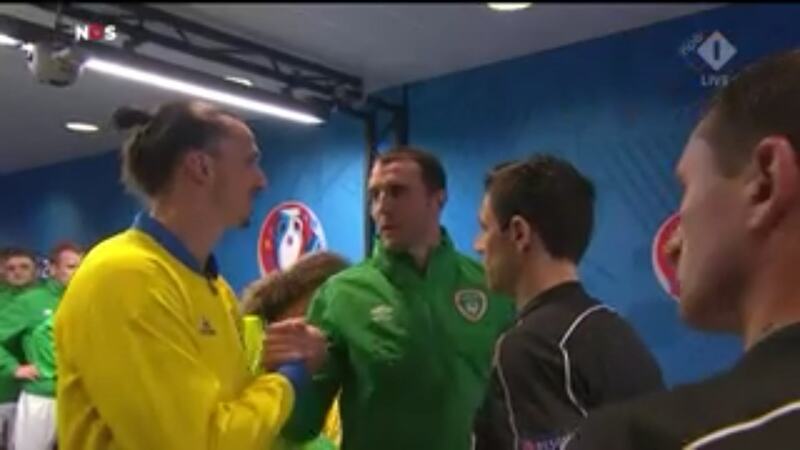 That’s why he speaks with the captains in the tunnel. Ever done that yourself? Nice to see that on tv as well.